The Netherlands, 20 November 2014 – ‘From Clean to Clear Label’, ‘Good Fats, Good Carbs’ and ‘More in Store for Protein’ are three food trends* examined in the latest ‘T for Trends’ webinar presented by Cargill’s cocoa and chocolate business. Together with Innova Market Insights, the company has translated the trends into applications for the cocoa and chocolate industry. Aimed at manufacturers working in a range of sectors including confectionery, bakery, and dairy, the webinar was co-presented by Cargill’s Brigitte Bayart, Senior Marketing Manager, Chocolate, and Lu Ann Williams, Head of Research at Innova Market Insights. From Clean to Clear Label – sees more transparent labelling enabling consumers to make informed choices, combined with new EU labelling legislation enforcing more detailed listing of ingredients. Cargill is ideally placed to provide support and advice around this legislation, which for example includes more specific information around allergens and fats. 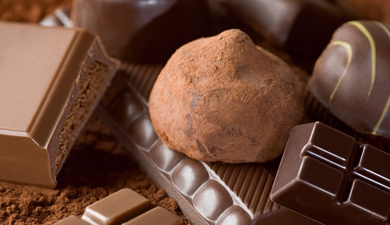 Cargill can provide non-GMO options or sunflower lecithin formulations for cocoa and chocolate products. Also, in certain markets the company is able to provide coatings and fillings using segregated or mass balance RSPO palm oil for new product development. Good Fats, Good Carbs – sees the emphasis on healthy and unsaturated fats and oils rising in importance, alongside sugar reduction. Within its R&D Centres, Cargill can help customers to reduce sugar content in chocolate or fillings without compromising on taste. Truvia - Cargill’s naturally derived sweetener from the natural product stevia – can also be used to deliver a well-balanced, tasty and healthier chocolate product. More in Store for Protein – the market in protein-enriched food products is booming, with 15% of breakfast cereals launched in 2013 carrying a protein claim, and dairy launches with protein claims up by 34% from 2010-13. Chocolate is the top flavour for ready-to-drink protein beverages launched globally in 2013-14, and Cargill can provide expert application advice to manufacturers on how they can take full advantage of this booming market. “Through our unique T-model approach we combine broad food knowledge with deep cocoa and chocolate expertise and apply the latest trends to the development of our ingredients. This in turn provides our customers with the knowledge and ingredients they need to create products to meet their consumers’ demands – and stand out from the crowd”, said Bayart. To find out more about the Top Ten Food Trends for 2015 and how they can be applied in the cocoa & chocolate business, please visit: http://www.cargillcocoachocolate.com/innovations/driven-by-trends/index.htm. For more information about ingredient trends, or trends within your specific product category, please contact Cargill Cocoa & Chocolate at: [email protected]. *Research conducted by Innova Market Insights.